Simple ho(s)tels, wooden houses and/or tents! In cities and settlements we use twin-bedded rooms in ho(s)tels. We try to do our best, but in some places they not match up to "International" standards; i.e. hot water may be irregular, facilities may be shared etc. The accommodation on remote places is mostly very simple and without electricity; simple houses or tents. Of course we prepare campfires for cooking and 'nature' saunas for hygienically reasons. Toilets are mostly outside. As we deal with remote places of the Kola Peninsula, where are no roads, we use boats and rafts on rivers and lakes and off road vehicles such as all wheel drive vehicles likes army-busses, quads, jeeps and special all terrain vehicles on old forest roads made by local people and geologists. Helicopters and light airplanes are also used in some cases to shorten the time of travelling. Only this way you can reach the most beautiful and untouched areas. Ecological holidays on the Kola Peninsula in Northwest Russia! 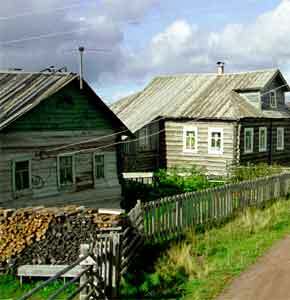 The Kola Peninsula is situated in Northwest Russia and lies north of the Arctic Circle. In the summer, the Kola Peninsula is transformed into a land of midnight sun. Throughout June and July bright sunshine illuminates the land around the clock. The Kola Peninsula boasts more than 130,000 lakes and rivers. The region is covered by tundra, forest-tundra and taiga (dense forest) and is home to a wide variety of flora: more than 650 species are found here. Trees include three types of spruce, four types of birch, as well as pine, rowan, and alder. The Kola Peninsula is also rich in fauna. Wildlife includes reindeer and elk, brown bear, wolf, fox, Arctic fox, ermine, and wolverine; birds include wild geese, duck, ptarmigan, hazel-hen, grouse, eider and peregrine falcon. Our goal is to show you this fragile northern nature with the many cultures and traditions without spoiling and harming. We offer individual, group tours and/or just accommodation for having an ecological holiday on one of the most beautiful places on the Kola Peninsula. Enjoy the treasures of the nature! All our tours are full service, but that doesn't mean that you will be bored. Depending on the kind of ecological tour we provide you with all the necessary food for your staying. To make you staying more ecological you can cook on campfires and use the "fruits" of the sea and the season; by early July mushrooms - orange-cap boletus and edible boletus have sprouted and cloudberries, blueberries and blackberries have ripened already in the forest. Berry and mushroom picking is our national hobby. Enjoy the nature! <<Click auf program code für more details! From 1st von June zu 1st von October. Click here für asking start dates!. From 1st von January zu 1st von May. From 1st von June zu 1st von October. From 15th zu 31st von December. Click here für asking start dates!.